The engine on its first run after restoration c. 1981. Many people don’t realize that there is a train engine at Historic Charlton Park. It is a 1920 small gauge engine housed in a small shed near the maintenance shop. It is 10 feet long and has a chain drive four speed chain gear. The engine runs on two foot gauge rails. When running it goes 3 to 15 miles per hour. 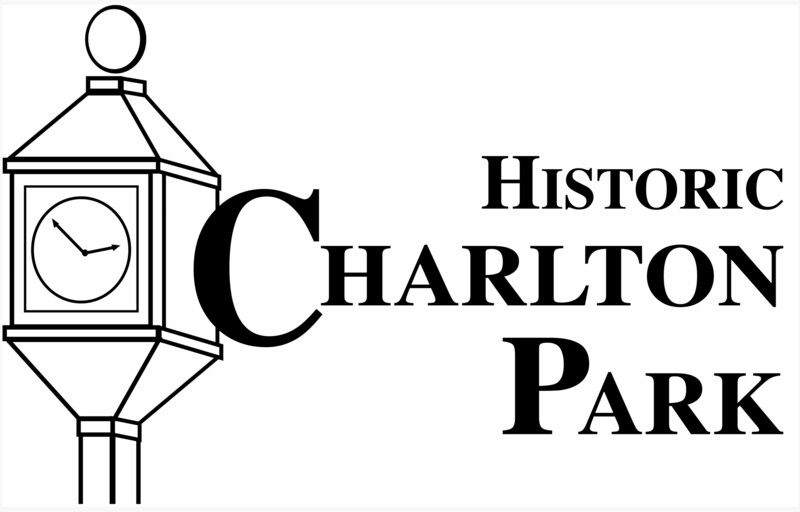 The founder of Historic Charlton Park, Irving Charlton, bought the engine from the city of Battle Creek. It was used for hauling waste in a treatment plant and had several dump cars. 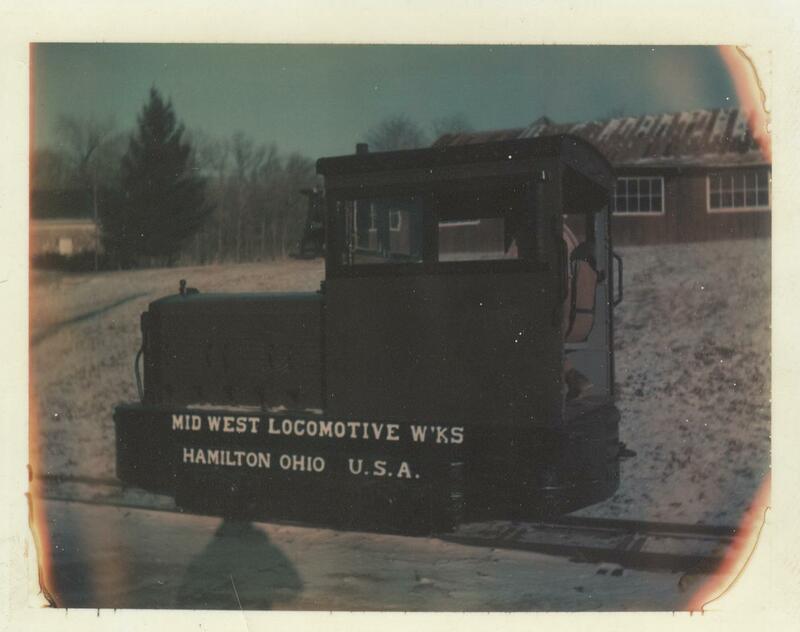 The 5 ton engine was made in the 1920’s by Midwest Locomotive Works in Hamilton, Ohio and the company closed in the mid 1930’s. The train was likely acquired by Irving Charlton around 1960. The train was unloaded next to the Machine Shed, which was built by Charlton in the 1950’s, and a snow fence was placed around it for protection. The train sat next to the Machine Shed (torn down in 2007) and children used it as a playground until 1980 when Russell Chaffee decided to restore the engine. In the winter of 1980, Chaffee towed the engine down the hill, he remembers the ground being frozen, and began restoration. Ed Slocum of the Barry County Road Commission rebuilt the engine. Park employee Mike Jones and community service volunteers restored the woodwork. It took them all winter to clean out the engine and make repairs and it was ready to go by early 1981. The photo on the left was taken the first time the engine ran on the rails, Russell Chaffee was the operator and you can just see him in the car. Some Charlton Park visitors recall a time when this engine was displayed outside and children were allowed to sit on it. Do you have any memories or photos of the train that you would like to share?